An op-ed by the founder of Unchained At Last. If I told you about a country where hundreds of thousands of children as young as 10 were getting married — mostly girls being wed to adult men — would you assume I were talking about a developing country on the other side of the world? Actually, I’m talking about the United States. Thanks largely to archaic legal loopholes, marriage before 18 currently is legal in all 50 US states. In fact, laws in 25 states do not specify any minimum age for marriage under certain circumstances, which means the laws in half of the country are in line with those in Iran, Saudi Arabia, and Yemen – three countries Human Rights Watch has identified that do not specify a minimum age for marriage. For a long time, no one knew the full extent of America’s child-marriage problem. 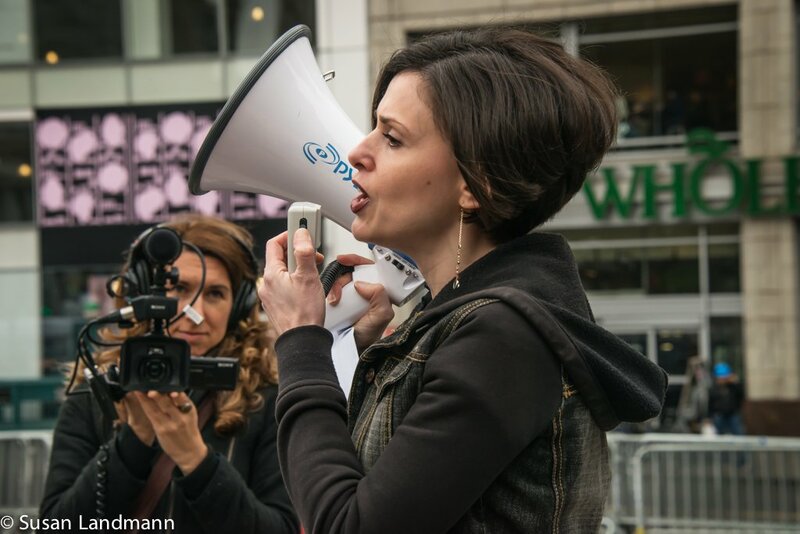 I changed that last year, when I wrote an op-ed article published in the Washington Post that revealed the results of a groundbreaking study conducted by Unchained At Last, the nonprofit I founded to help women escape forced marriage in the US. I showed that in just the 38 states that track marriage ages (based on marriage license applications), more than 167,000 children as young as 10 were married between 2000 and 2010 alone. Almost all were girls married to adult men. Extrapolating from the available data, Unchained estimated that nearly 248,000 children were married in the U.S. in that decade. Child marriage is horrifying for many reasons, but allow me to explain the two most pressing reasons. First, child marriage often is forced marriage. I know from my own experience that forced marriage can happen at any age, even to adults. My family pressured me into marriage when I was 19 to a man who turned out to be violent, and I was trapped in that abusive marriage for 15 years. When I finally managed to escape with my two daughters, my family shunned me. My traumatic experience is what inspired me to found Unchained. But all the escape routes that would have been open to me before and during my marriage, if I had found the courage to try to escape sooner, are not open to children who have not yet reached the age of adulthood. Before they become legal adults — at 18 in most states — children face overwhelming legal and practical barriers if they try to leave home (they are typically considered runaways, so police will search for them and return them to their home), access a confidential shelter (most domestic violence shelters do not accept minors), retain an attorney (contracts with children are voidable), or bring a legal action (in some states, children can marry but cannot file for divorce). Thus, children who are not yet adults, even 17-year-olds a day before their birthday, can easily be forced to marry or forced to stay in a marriage. I discovered this evil legal setup — children allowed to enter the serious contract that is marriage before they have the legal rights they need to safely navigate this contract — in the most heartbreaking way. Unchained usually is able to rescue the brave women, age 18 and older, who reach out for support when they are facing an imminent forced marriage or fleeing a forced marriage that already took place. The organization coordinates escapes, gets women to the safety of domestic violence shelters, and provides free legal representation so the women can file any legal action necessary, including seeking protective orders and filing for annulment or divorce. But more and more girls, under age 18, have been reaching out to Unchained in recent years to plead for the same help. When the Unchained team explains to the girls how limited their options are, almost all the girls end up doing the same thing: attempting suicide. The second most important reason to end child marriage is that even when children marry willingly, the results are devastating. Women in the US who married at 18 or younger face a 23% higher risk of heart attack, diabetes, cancer and stroke than do women who married between ages 19 and 25, in part because early marriage can lead to added stress and forfeited education. Women in the US who married before 18 also are at increased risk of developing various psychiatric disorders. Girls and women in the US who marry before 19 are 50% more likely than their unmarried peers to drop out of high school, and four times less likely to graduate from college. A girl in the US who marries young is 31% more likely to live in poverty when she is older. Globally, women who married before 18 are three times more likely to be beaten by their spouses than women who married at 21 or older. Ending this human rights abuse in America should be simple. Every state can pass legislation I have helped to write to eliminate the loopholes that allow marriage before 18, or higher in states where the age of adulthood is higher. Legislation to that effect is pending in many states. Florida’s bill appears closest to passing, because of how rapidly it is moving through the legislature with bipartisan support, and because Florida’s legislative session ends in early March. However, we cannot assume that the pending legislation will pass. In the last couple of years, I have seen legislators in state after state weaken such bills before they pass them, swapping out one dangerous loophole for another. Legislators in other states have voted against ending child marriage or refused to allow such legislation to come up for a vote. Many legislators appeared to be guided by ignorance of the issue or by alarmingly sexist attitudes, insisting that if a girl gets pregnant, she has no choice but to marry — even if she was raped. 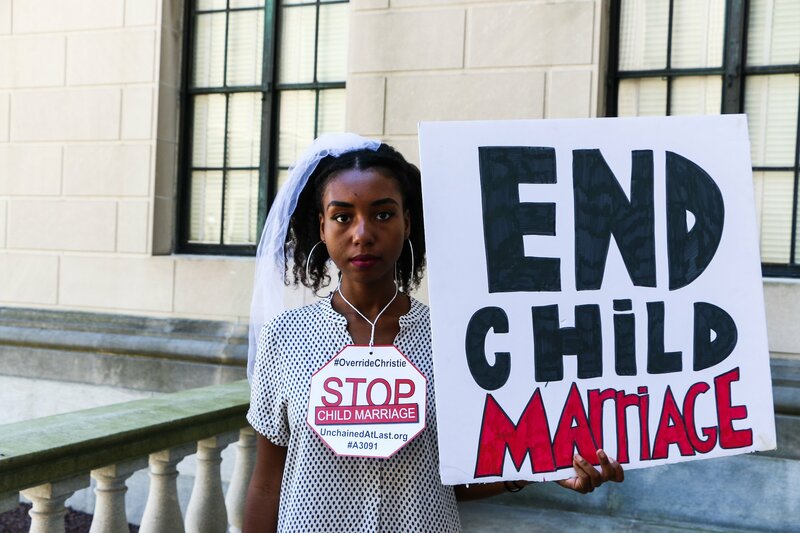 I have been working for two years to end child marriage in America. So far, not a single state has passed legislation to eliminate all marriage before 18 without exception. You can change that. You can tell your legislators and governor you will not accept anything less than legislation that ends this human rights abuse.